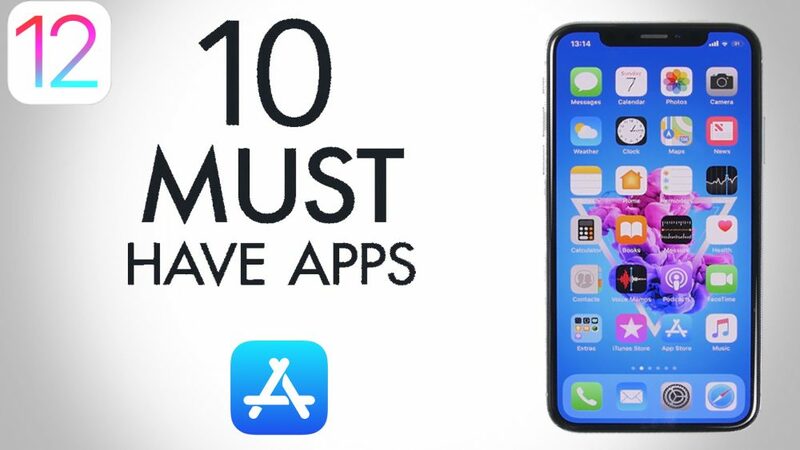 Top 10 must-have apps – Just bought a brand new iPhone and want to enjoy more then here are my Top 10 must-have apps for your iPhone & iPad and you should definitely try them on your brand new iPhone. I’ve researched and tested to find 10 essential apps. you can download all these apps for free from the app store. guys, the best thing is that you can download the Top 10 must-have apps on your iOS 12 devices. so let’s go ahead and have a look at these best iPhone apps 2019. Music volume booster, this app allows you to boost the music sound of your iPhone whether you’re playing music from Spotify, Dropbox, or the iTunes media Library which are the songs that you have on your music app then you can go ahead and basically double the volume of your iPhone when playing music. Of course, it’s not recommended to keep it all the way up for a long time. because that, of course, might damage the speakers of your iPhone. The second app for the article is Web due. this is basically a split screen application for your iPhone. it allows you to browse to different websites at the same time. For example, you can see in the image that on the one side, I have YouTube while on the right side I can go ahead and browse another website. So guys, how easy it is to have two websites on the same screen. this is pretty awesome and of course, the app is free. so you can have split screen mode on your iPhone. The next app for this article is Secret files and this app allows you to hide pictures or videos from the camera roll of your iPhone. It’s pretty easy to use so you go ahead go to the settings first of the app and then you need to set the passcode which you will use to protect those files that you hide within this app then you want to go ahead and basically like to hide a picture or video. All you got to do is just create a folder or go to an existing folder which you might have and then just tap on the plus button which will take you to the camera roll where you can choose your picture or video that you want to hide. Once you choose the picture that you want to hide. it will show you a pop-up which asks you if you want to delete it from the camera roll. this way this photo will be deleted from there and will be only saved within this app. If you want to restore those files to the camera roll. of course, all you need to do is just swipe like this. And click on the save the library and enter the passcode which you use to protect your photos or videos and then it will go ahead and successfully restore it to the camera roll of your iPhone. Mobile Master is a must-have app if you want to see everything regarding your device. so you want to be informed with everything like the battery all the specifics of your iPhone you will have everything here. So you’ll see a list from the general information to the CPU, RAM memory, Network, Sensors, Battery all that and you will have some useful tools as well. you can go ahead and download like live wallpapers from the within this app. This is pretty cool and then you also you will have the speed test. so you can test the speed of your internet. you will have a decibel meter and this one it’s pretty awesome. So you can measure the sounds with this disability tur that’s one pretty cool and you also will have a ruler. you will have a magnifier all that. so you will have a bunch of tools here that you can use for free. Musemage is an awesome camera app. so this app allows you to have everything in control. so everything will be on your control everything on manual from the focus you will have the white balance. You can set the aperture all that everything can be controlled with the sliders and of course, you can go ahead and change between different modes like from manual to video, to the phone, to time-lapse. You can see the time-lapse you can set the speed of the time-lapse. of course, you will have also stop-motion. so it’s pretty cool everything can be controlled manually. 1.1.1.1 is one of the most famous VPN apps that has recently been released. this one I mentioned in a previous article as well. it’s pretty awesome and it will make the internet on your iPhone faster. So what it does is that it uses like the kind of system like things that need to be done through your ISP will be done on your iPhone. so that way it will load faster websites and things like that. so it’s pretty awesome of course the VPN will also protect your device. Sticker maker is a fun app. but it’s really useful as well and it allows you to create like packs of stickers that you can use only WhatsApp app. this one is really really awesome. Food vision is a must-have app for everyone that wants to track the calories and what they eat during the day. so it’s kind of and its interface looks kind of like snapchat. What it allows you to do is that you can just basically go ahead and take a picture of the food that you’re eating. So you’re eating something just open the app take a picture and it will show you all the details regarding that food the calories. it will show you all the carbs, the fats everything the proteins everything regarding that food. If you go to the details then it will show you the calories and all the nutrition’s for today from the food that you have eaten today and also you will see a summary right there of the week. so it shows everything that has you eat during the week. Papers.co is, in my opinion, the best wallpaper app that you can get on your iPhone. it’s really awesome and the amount of wallpapers that you can get from this app is really really crazy. So there’s a large number of different wallpapers to choose from. so when you launch the app then you will see the recently added wallpaper. So you will see here a ton of pages. just scroll down and you will see some really really beautiful wallpapers. so you want to try one out you just go tap on it and then it will show how it looks on the lockscreen or the home screen. And if you want to save it you just go ahead and tap the arrow to save it to the camera roll of your device. And last but not least is fonts. this app allows you to type using your keyboard in a lot of different fonts. so the first thing you will need to do after install this app is going to settings then go to general and then go to the keyboard. Now, go to the keyboard and add new keyboard and just find fonts and you will be able to add it to the keyboard of your iPhone then once you’re done. You can go ahead and just tap the globe and change to the keyboard and you will see at the top, you will have a list and of a few different fonts that you can choose from. So just choose the fonts and the keyboard is very similar to the stock one nothing will change except the font. when you’re typing so you can use this it will be really really fun to type on your social media or anywhere you want to use these awesome fonts. So that is it for this article guys. these are my top 10 must-have apps of 2019. in this article, I have only shown free apps that can be downloaded of course for free from the app store. so these are top 10 must-have apps that are very very useful and you must try these must-have iPhone apps on your device. Hopefully, some of them, you will make a lot of use up. so I hope you guys enjoyed the article. If you like then don’t forget to share it everywhere and also don’t forget to visit daily on this website for reading more new articles like this one.